Every year the School of Histories and Humanities welcomes large numbers of visiting students and we are delighted to receive enquiries about the wide range of courses that we offer. Many visiting students take either one-year or one-semester courses, while others are registered for the four year undergraduate degree programme. 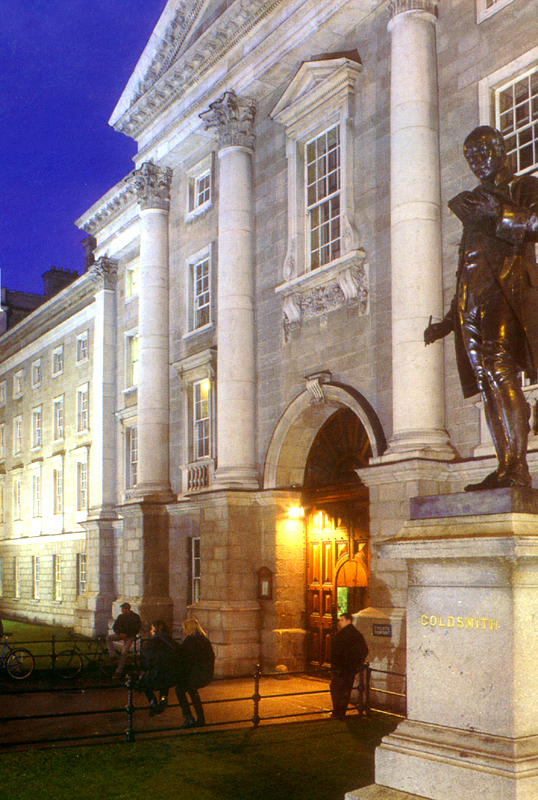 The School runs a highly popular three-week programme entitled Understanding Ireland, which provides international students with the best possible foundation for settling into their time at Trinity. The programme is unique in providing both an orientation to life in Trinity and an academic introduction to understanding Irish culture - all before normal teaching begins. Founded in 1592, Trinity College is the oldest university in Ireland, with a beautiful campus renowned for its magnificent architecture. Immediately outside the walls are all the amenities of a vibrant capital city, which has excellent transport links (by air) to Britain and continental Europe, making the College an ideal location for international study.